A survey of design industry demographics has found that almost three quarters of designers are white. The 2016 Design Census revealed that 73 per cent of those surveyed identified as white, nine per cent were Hispanic, eight per cent were Asian, and three per cent were black. The survey was undertaken by US professional organisation AIGA and tech giant Google, with the aim of highlighting the lack of diversity across the range of design disciplines. The team polled 9,602 designers internationally, asking questions on topics including race, gender, salary, job satisfaction, as well as how much caffeine and candy they consume. Other headline figures include a male majority of 55 per cent, and that female designers earn an average of six per cent less across the disciplines. Gender inequality was also recently highlighted by British architect David Adjaye, who told Dezeen that the architecture and design industry still doesn't provide the same opportunities for both sexes. To accompany the results, AIGA commissioned several designers to create visual representations of the data. 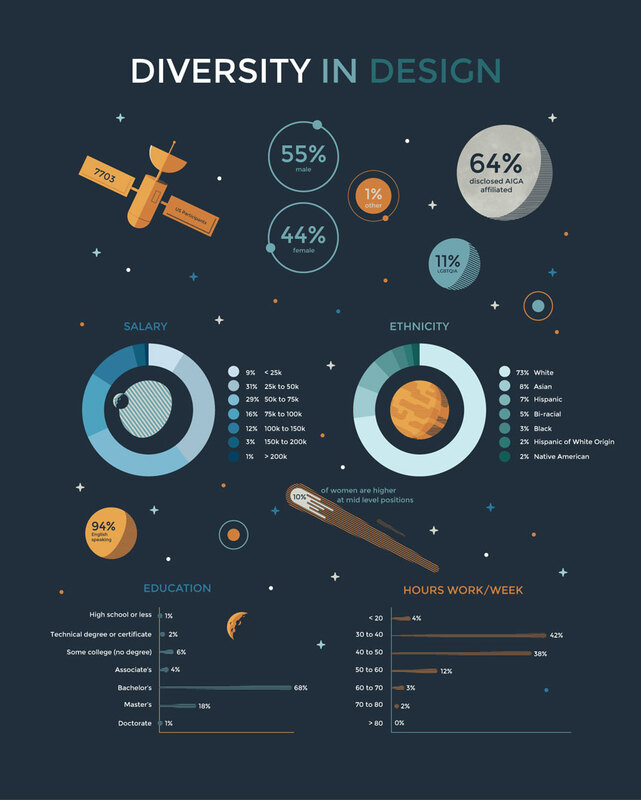 An overview of the key findings is shown in a space-themed infographic by designer Timothy Hykes. 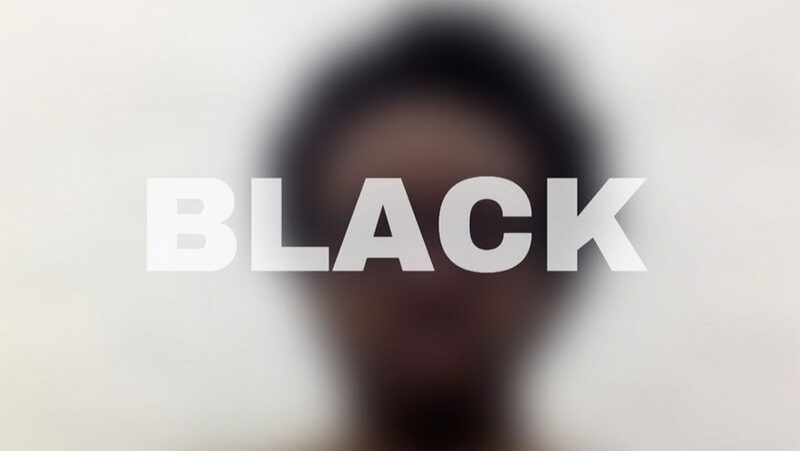 Brooklyn-based Ekene Ijeoma produced the Ethnic Filter, which blurs webcam portraits depending on the visibility of an ethnic group compared to others in the industry. Those who select "white" see their face clearly, while those choosing the "black" filter can barely distinguish their features. On a more positive note, the poll found that 80 per cent of designers are happy in their jobs, as shown in a short film created by New York studio Siegel + Gale. Interior designers were the happiest, while architects were the least content. The Design Census Survey was initiated when Antionette Carroll – founder of Creative Reaction Lab and president of AIGA's St Louis chapter – was asked in 2014 to create an up-to-date overview of the industry. Three years later, the findings show that design has diversified since 1991, when the AIGA published an article titled Why is Graphic Design 93% White?